Born in Odemis (Turkey) in 1945, Ambassador Alpogan is graduated from the Faculty of Political Science of Ankara University. In 1968 he entered the Foreign Service, where he served in different positions ranging from Head of Section to Deputy Undersecretary, and abroad in Turkish missions in several countries. Amb. Alpogan was appointed First Secretary of the Turkish Embassy in Tokyo (1972-1975), Counsellor of the Permanent Delegation of Turkey to the UN Office in Geneva (1979-1983), and Director General for Bilateral Political and Maritime/Aviation Affairs of the Ministry of Foreign Affairs (1998-2000), among others. 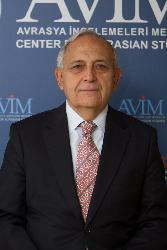 He became ambassador in 1995 and has since served in this position in several embassies such as Ashgabat and Athens, before his appointment as the first civilian Secretary General of the National Security Council of Turkey (2004-2007), in light of the reforms undertaken for Turkey's European Union accession process. Amb. Alpogan was then appointed Ambassador to London, where he served from 2007 to 2010. During his term in London he was selected as "diplomat of the year" in 2009. He joined the Secretariat of the Union for the Mediterranean in Barcelona as Deputy Secretary General in 2010. After the completion of his term in the Secretariat of the Union for the Mediterranean in 2016, he returned to Ankara. He is presently working for AVİM (the Center for Eurasian Studies) in an advisory capacity.